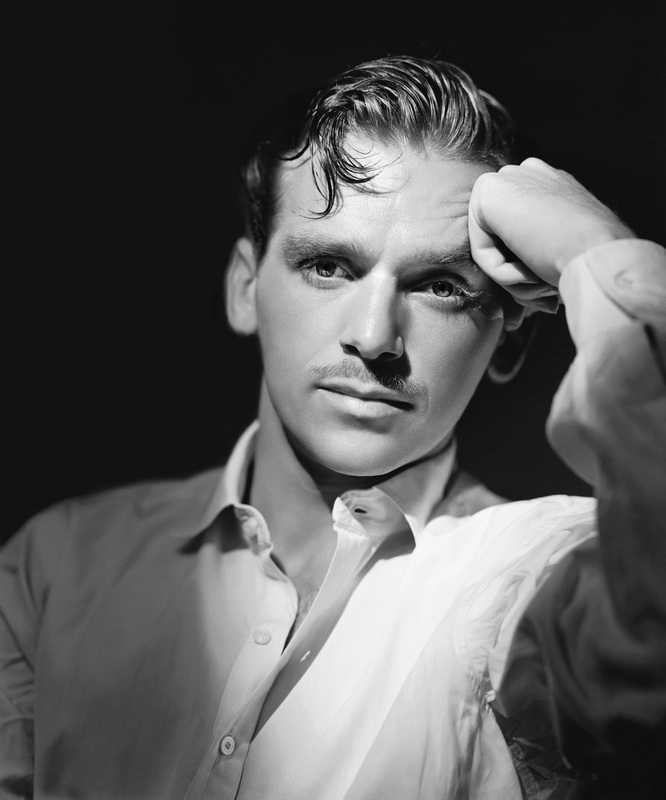 Summer Under the Stars Guide: Douglas Fairbanks Jr.
Today's star is swashbuckler Douglas Fairbanks Jr.
TCM is celebrating the career of Douglas Fairbanks Jr. with 15 movies on Aug. 15. Here's what you need to know about one of old Hollywood's leading matinee idols. FYI: TCM sometimes changes the air times and /or movies, so you can go to www.tcm.com to check the updated schedule. Born: Dec. 9, 1909, in New York City. Died: May 7, 2000, in New York City. He is buried in the Hollywood Forever Cemetery. Brief bio: Fairbanks Jr. grew up as Hollywood royalty. He was the son of legendary silent star Douglas Fairbanks and his first wife, Anna Beth Sully. Fairbanks Jr. really wasn't interested in following in his father's footsteps, but he got his first film role at age 14 thanks to his famous name. 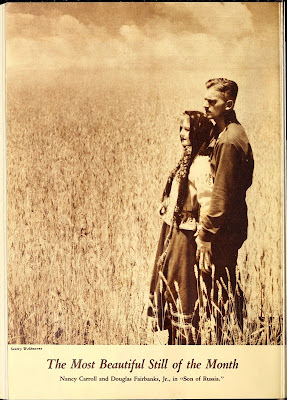 At first, Fairbanks appeared in bit parts, but he gradually worked his way up, and he became a sought-after romantic leading man in pre-code talkies thanks to his pleasant speaking voice and his high profile marriage to Joan Crawford (they would divorce in 1933). The swashbuckling genre had a revival in the late 1930's and Fairbanks naturally excelled in those movies, appearing in blockbusters like The Prisoner of Zenda and Gunga Din (1939). Fairbanks joined the US Navy during World War II, and he was highly decorated for his combat experience and contributions to counter-intelligence. Fairbanks movie career never took off after the war, but he had a thriving career in television, and he was also a shrewd businessman with many other interests. Douglas Fairbanks Jr. at the White House with Nancy Reagan and Princess Grace. 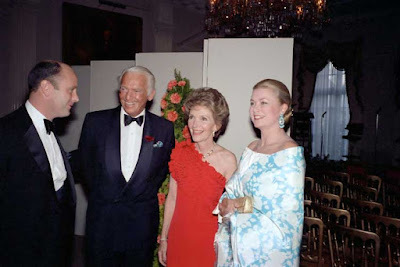 Fun fact: Fairbanks was well-known for his fashion sense, and he was often named to the international best-dressed list. 1. Gunga Din, airing at 4 p.m., is one of the best action-adventure films ever made, featuring Fairbanks as one of three British officers who battle the brutal Thuggees. 2. Flight Commander (1930), which is better known as The Dawn Patrol, airing at midnight, is an interesting early Howard Hawks film about World War I flying aces. 3. Fairbanks is great as Edward G. Robinson's partner in the seminal gangster film, Little Caesar (1931), airing at 3:15 a.m.
A great movie not featured during Summer Under the Stars: One of Fairbanks best romantic leads was in Morning Glory (1933). He plays a theatrical producer opposite Katharine Hepburn as an aspiring actress. Fan Magazine Flashback: Screenland magazine features Fairbanks and Nancy Carroll in its "Still of the Month" feature. Courtesy of the Media History Digital Library. Old Hollywood video: Fairbanks does some of his famous impersonations in Our Modern Maidens (1929). Old Hollywood GIF: Irene Dunne and Fairbanks in Joy of Living (1938). Courtesy of giphy.com. Old Hollywood Archives: Fairbanks, Cary Grant and Victor McLaglen take on the brutal Thuggees in Gunga Din. For more Summer Under the Stars articles, go here. There'll be plenty more on Fairbanks on social media. Follow me on Tumblr, Google+ or Pinterest or like us on Facebook. Follow us on Twitter @oldhollywood21. I've always considered Fairbanks Jr. to be incredibly handsome, Amanda, more so than his tougher-looking Dad. He's charismatic and charming, blinding smile, and he can act! Gunga Din is such a fabulous movie, and perfect for summer under the stars! Nice tribute! Yes, he was very handsome. I can see why Joan Crawford fell for him.